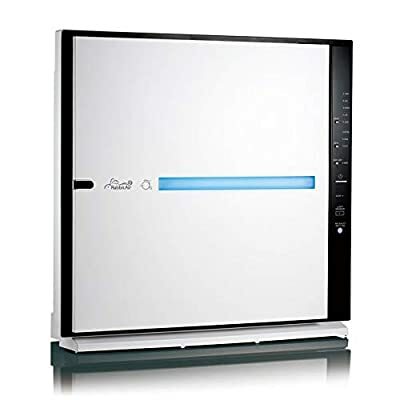 Combining germ defense with toxin filters, the RabbitAir MinusA2 ultra quiet air purifier keeps your home and office air healthy for both work and quality time. 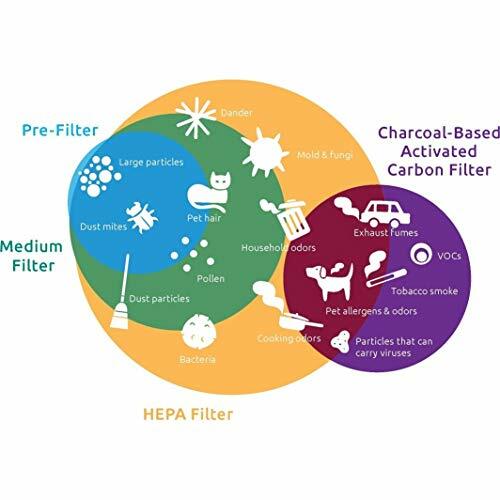 The Energy Star certified ultra quiet air purifier features continuous air quality control, zero ozone emotions and a remote control for easy ambient control.Fine air purifier is ideal for home or the officeHouseware item is designed with a 6-stage filtration system (pre-filter, medium filter, HEPA filter, customized filter, AC carbon filter) Ultra quiet air purifier features healthy ionizing functionMeasures 20 inches high x 21.4 inches wide x 7 inches deepFeatures: Custom filter optionGerm defense option destroys allergy germs and viruses Pet allergy filter traps and destroys viruses and pet danderToxin remover filter eliminates off-gassing from new paint, carpet, and furnitureMood light therapy and relaxationTrue HEPA capture particles down to 0.3 microns Zero ozone emissionsGermicidal protectionContinuous air quality monitoringRemote control includedEnergy Star certifiedETL safety approvedWall-mountable optionTwo air changes per hour (700 square foot room) This HEPA filter is designed for high purification filtering of interior air. 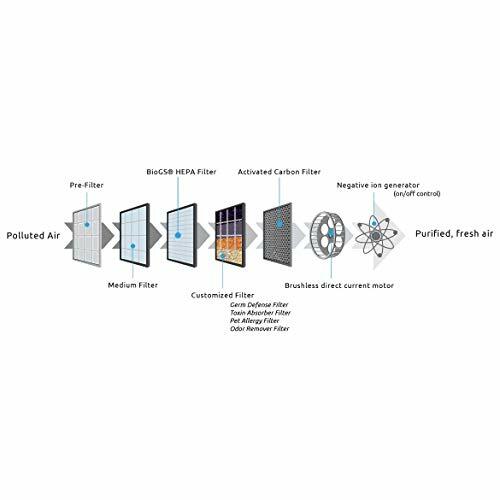 Designed with a six stage fitration system, including; pre-filter, medium filter, HEPA filter, customized filter and an AC carbon filter. 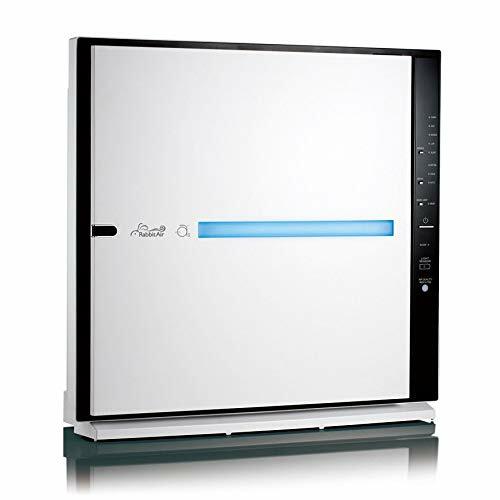 The unit measures 20 inches high by 21.4 inches wide and 7 inches deep and is great for allergy sufferers and pet owners.